This website has acquired a copy of the 1942 book "American Polynesia and the Hawaiian Chain" by Edwin H. Bryan, Jr. 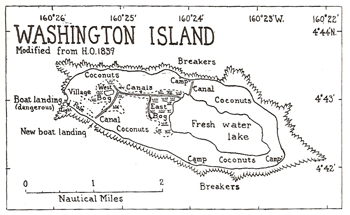 The book has 57 chapters about many islands in the Pacific Ocean, from minor islands such as Jarvis, to large ones like Oahu. 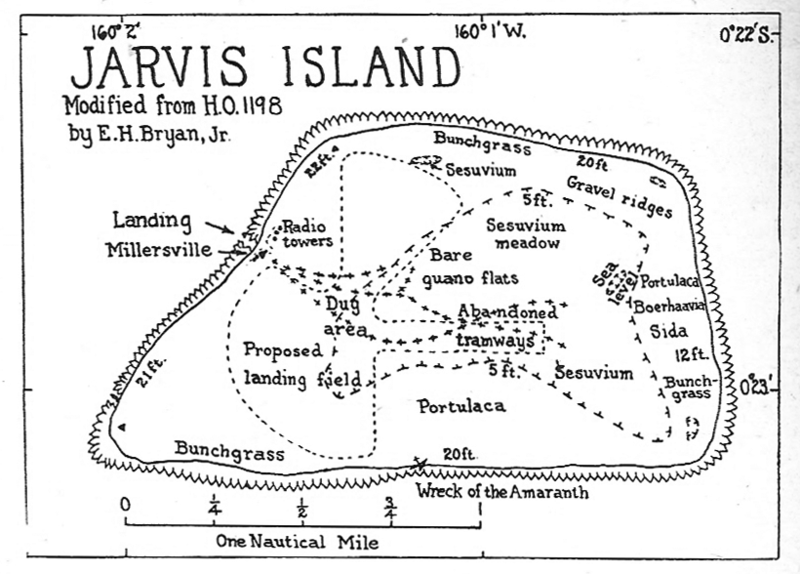 Chapter 40 (page 134) has three whole pages devoted to Jarvis Island, and revealed many unknown facts about the island. One of these is that the break in the reef, now the only way to access the island, was indeed blasted in the reef, presumably with explosives. The minor break in the west southwest side of the island was caused by this process as well. 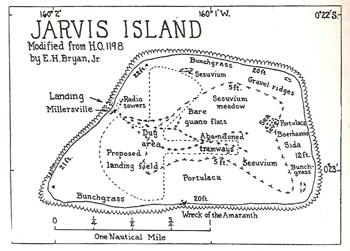 Several alternative names are given for Jarvis Island as well. These names include Bunker, Volunteer, Jervis, Brook and Brock.Mr. Bryan goes on to say that some of these names appear on maps and charts earlier than Captain Brown's 1821 discovery. Because the book was written during World War II only a small bit is mentioned concerning the colonists of 1935-42, perhaps the author thought these fellows would occupy the Island longer and was unaware of the Japanese attack. 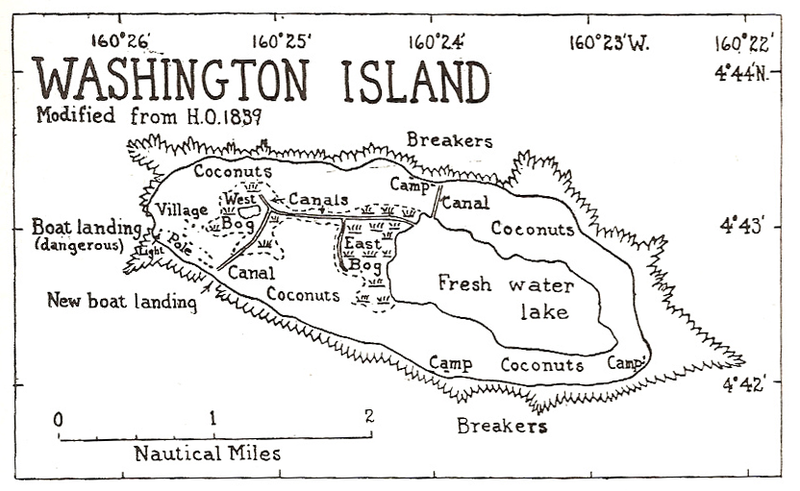 More information will be posted at a later date about more islands of interest, including Teraina, Kiribati (Also known by its English name, Washington Island). The ISBN of the book is reported to be 90-6072-037-7 and used copies can be obtained from Amazon.com here.